“Camo” – Vu Ryte Inc. Brings ergonomics to your desk space and keeps you organized-positions documents of various sizes and personal technology and the stuff of life. Ideal for desktop workstations, sit-stand desks and split level workstations-Memoscape Plus adapts to your workstation utilizing the unused space between your keyboard and monitor. Fully adjustable to fit your needs, wants, desires- as your workstation allows, Memoscape Plus adjusts both upward and downward to provide “in-line” document support. Also adjustable in angle. Includes unique side mount support system- adjustable side arm support fits on either side or swings out of the way. Made in the USA-and patented. This is REAL Change…..An ergonomic desktop computer accessory that adapts to you, your workstation, your needs. If you desire an ergonomic in-line document holder and your workstation allows it, no problem, as Memoscape Plus adjusts vertically to become a world class in-line copy holder. If you desire a personal organizer for convenient and accessible support of your personal technology, no problem, as Memoscape Plus has a 12 inch wide easel to support technology, personal notes and the stuff of life. The easel lip is approximately 1/2 inch deep…ideal for up to 50 pages of documents, cell phones, and most tablets. If you have reference documents, no problem, as Memoscape Plus includes an adjustable side mount document support system that attaches to either side, supports documents, pivots in angle and swings out of the way. If your workstation is split level or a below desk keyboard or sit-stand, no problem, as Memoscape Plus adjusts vertically with a unique support wire and ingenious adjustable easel lip height mechanism. Memoscape Plus has 6 different angle adjustments for maximum personal comfort. The angles range from 35 to 60 degrees. Every Memoscape Plus has our innovative “micro-stabilizers” which ensure anti-slip stability on the desk surface. Our “micro-stabilizers” are not an adhesive and leave no residue. Memoscape Plus is available in a veritable plethora of stunning colors and tints to reflect your personality and lifestyle. Gone are the days when your workstation had to be boring and drab. Welcome to Memoscape Plus. 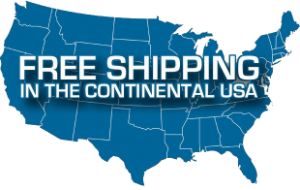 Free freight shipping is only to the (CONUS) Continental United States, If destination is outside of the Continental United States then contact help@vu-ryte.com or call 1-903-593-4666.